Home health care is not the same for everyone. Some people need someone to assist with walking and hygiene, making sure they live in a clean environment and get healthy meals. At Harbor Care Associates, we have specially trained caregivers for these needs. Some people require additional care from medical professionals. Harbor Care Associates employs registered nurses, home health aides, and certified nursing assistants who are carefully selected for experience, training, and empathy. Not only must they be professional, competent, and knowledgeable, but our nurses must care about the people they help. Our nurses become very involved with the families they serve and for whom they care for. 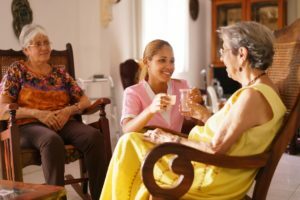 Harbor Care Associates can provide customized skilled nursing care for the elderly, those with dementia, diabetics, victims of head and spine trauma, and progressive diseases such as Parkinson’s and Multiple Sclerosis. Harbor Care Associates’ nurses and team members are qualified for all these types of skilled care and more. They can draw blood and do injections, as well as teach how to do injections. They are also specially trained in diabetic care and foot care. They can be case managers and coordinate community resources and arrange for therapy if needed – physical, occupational or speech therapy. Medical social workers can be included as well. All skilled nursing care is customized to the needs of each patient. Feel comfortable that your loved one is being cared for by experienced and staff. An evaluation by one of our nurses will be done at your home free of charge. Find out what Harbor Care Associates can do for you. Call today. Thanks to you Harbor Care and your wonderful staff for the help you provided Dad. You provided comfort and care at a time when we needed it most. We deeply appreciate it.